In 30 years time, the very essence of who we are may shift in directions we can only imagine right now – every visceral emotion and human need from what we eat to how we express love for each other and how we interact with machines is all changing. These far-reaching ideas, and many more, which aren’t just science fiction fantasies, were demonstrated and explored over two days (September 17-18) for innovation foundation Nesta’s FutureFest 2016. 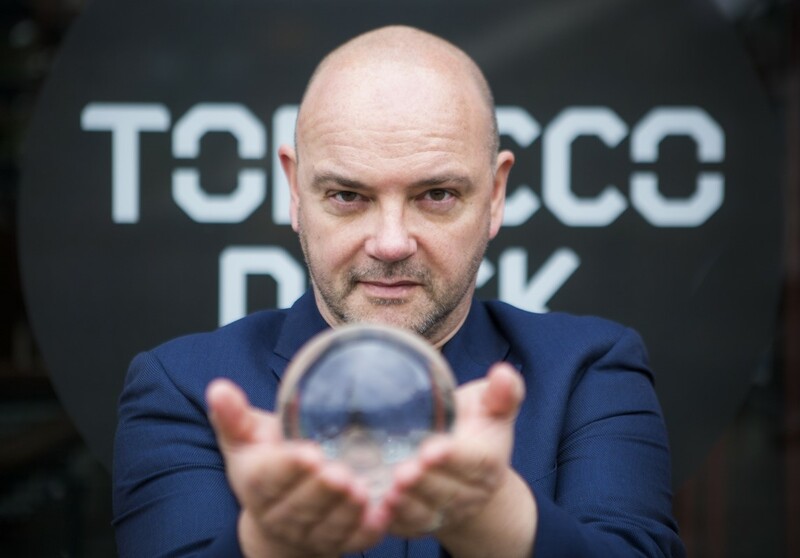 The third year of FutureFest attracted 4,000 people to Tobacco Dock in London and turned the venue into a playground of possibility. Talks from Brian Eno, DJ Spooky, Will Self, Sherry Coutu CBE, Mustafa Suleyman, Ghislaine Boddington (also a curator of Future Love happenings), Ruth Amos, Claire Lomas, Laurie Penny, Anjali Ramachandran, Kate Russell, Pat Kane (who curated the Futre Play programme), Cindy Gallop, Es Devlin, Bill Burnett, Dr. Trudy Barber, Rhyannon Styles and many, many more fascinating speakers, took place, along with a mix of digital art and performances. What was most striking is the exploration of the absolute most basic of human existence with discussions on how we will all love, play, work and thrive taking centre stage in conversations. While big questions of politics (Caroline Lucas MP with the Green Party participated in this discussion about where things are headed politically), how we’ll use data, combat disease, consider gender identity, and more, were bantered about among the guest experts, their on-stage conversations inspired attendants to tackle monstrous ideas, and debate between themselves about the positive and negative consequences future life may bring. Some may have found these beyond-the-now explorations a little bit creepy, such as taking a visit to the Love After Death exhibit, where 15 minute conversations with counsellors helped people chart a course for extending your presence, digitally, after you die and discussing how you want your body to be treated post-death. Also for thought exploration was a fertility exhibit about the pros and cons, and questions and concerns, of egg freezing. These topics may make some squeamish or uncomfortable, but are all good for thought provocation, and important, for thinking about future scenarios. 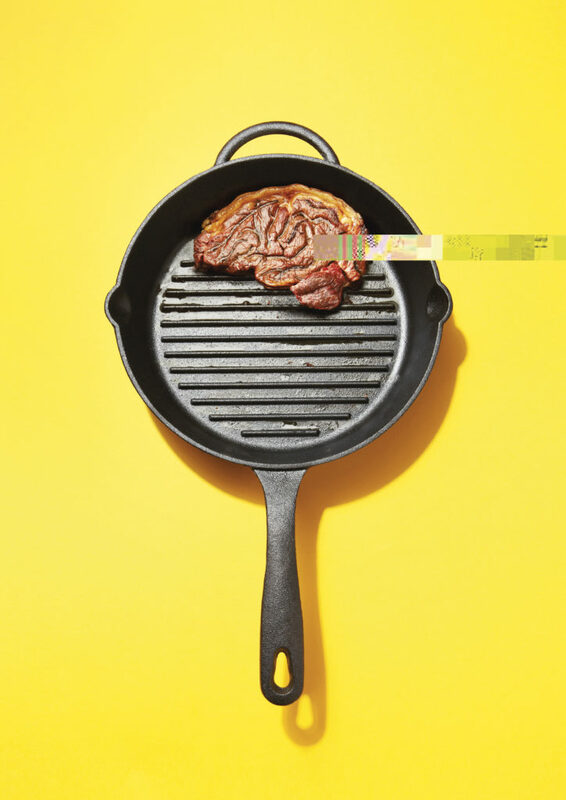 In fact, it is letting your brain tackle sometimes unnerving concepts that leads to amazing innovation, such as was demonstrated in the Cybathlon exhibit where examples of assistive technology and robotics showed how futuristic technology is helping people with disabilities become mobile again. 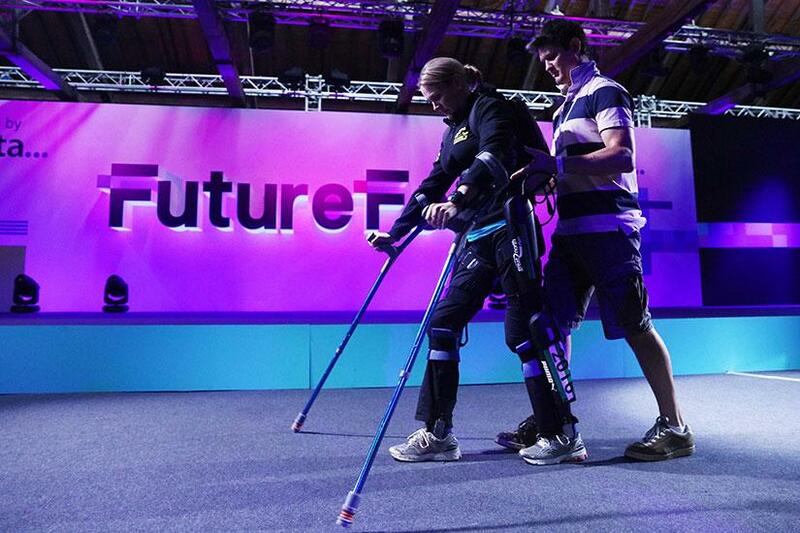 Or, when cyber-athlete Claire Lomas walked onto the stage in a fully robotic exoskeleton. Bravo! This is where the future gets so exciting, and promising. Kicking things off at FutureFest on the Saturday morning, in the mission to push your thinking into new boundaries, was Hannes Sjoblad (a biohacking and human augmentation activist) who led a “Implant Party” on stage by having two volunteers get computer chips inserted into their hands. The chips allow them to interact with digital devices, such as finding lost keys or activating other technologies. Among the high energy speaker presentations were appearances by Cindy Gallop (an influential woman in the advertising business and founder of IfWeRanTheWorld and MakeLoveNotPorn) who challenged work place structures and gender roles with commentary in sessions that set the room on fire, such as proclaiming “You will never own the future if you care what other people think!” and living up to her reputation of blowing things up, as “the Michael Bay of business”. Headlining FutureFest was Brian Eno who discussed the importance of play in learning, and criticized traditional education for turning the process into something that becomes un-fun, when A-Level exams take place. Also a popular speaker was super smart DJ Spooky who offered some interesting insight into how music and technology wrap around the theme of love. When the futuristic ideas all filled your head to overload, there were plenty of calming places to retreat to, especially the beautiful Collective Reality (an installation by body>data>space), where you could dance and move with others in a space of swirling visuals, or perch on a comfortable bean bag chair and watch professional dancers perform. Or, relax outside the venue and enjoy street food while looking at an old ship docked in the canal. So what does 2030 hold? It is fantastic that Nesta and all the involved partners and organizers and curators provided a place to unleash what is a smorgasbord of inspiring ideas for the future. Much discussed is so far ahead from our known existence today, that it is difficult to visualize the reality, but unless we all think about it, and act toward positive, well-calibrated, outcomes –progress will never happen. 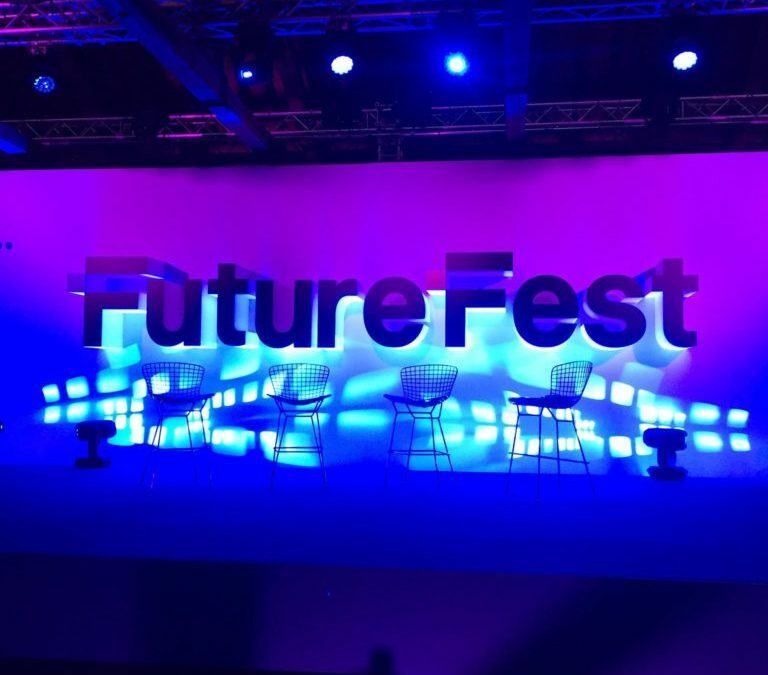 FutureFest 2016 was supported by innovation partner Nissan and the University of Greenwich, Oxford Martin School at the University of Oxford, D3 Technologies and EUNIC London. 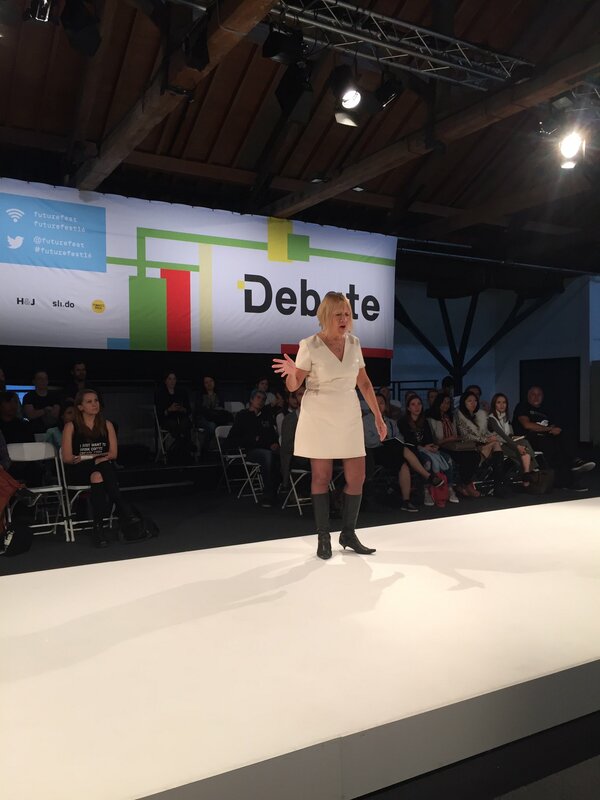 future thinkers and leaders will discuss at the annual FutureFest, brought to London by Nesta. The event takes place this weekend (September 17-18) and promises to deliver a mind-opening collection of talks, debates and immersive experiences that will get you contemplating far ahead to what’s in store for humanity, and how individuals can alter and influence the course of things to come. 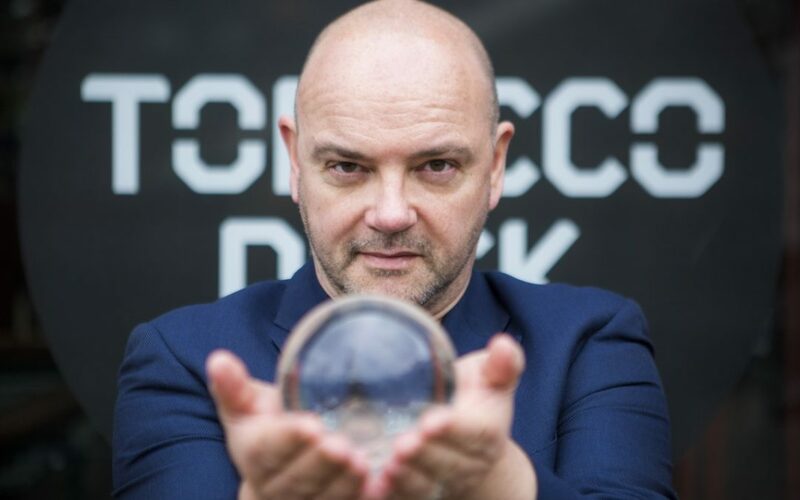 The line-up this year includes music pioneers Brian Eno and DJ Spooky, writing pioneer Will Self, and AI pioneer Mustafa Suleyman – the co-founder of Google DeepMind. Attendants will also hear from must-see radicals like Cindy Gallop, the entrepreneur actively shaking up the workplace gender debate, and Claire Lomas, the cyber-athlete who completed the London Marathon in an exoskeleton. Others on the bill include the Green Party’s Caroline Lucas, MP, and journalists Kate Russell and Bill Thompson and body technologist Ghislaine Boddington. While visions of the future may be utopian or dystopian, many attending FutureFest will enjoy using their imaginations to explore both scenarios, along with the science that can offer concrete insights of how we are progressing. Research released ahead of FutureFest by Nesta reports that 60% of people in the UK think that technology will improve their future wellbeing. European neighbours, however, revealed more pessimism toward future tech, with French people believing it will lead to unemployment and Spaniards expressing concern it will lead to a breakdown of trust. More details about the research findings are here. One topic sure to be of interest is how we will love in the future, with Ghislaine Boddington (see her thoughts on this topic here) sharing how we can think toward the most universal of all emotions, exploring what happens to romance, dating, identity and even skin when we move beyond the physical and merge with the virtual, by inviting pioneers, innovators and future thinkers to share their visions. 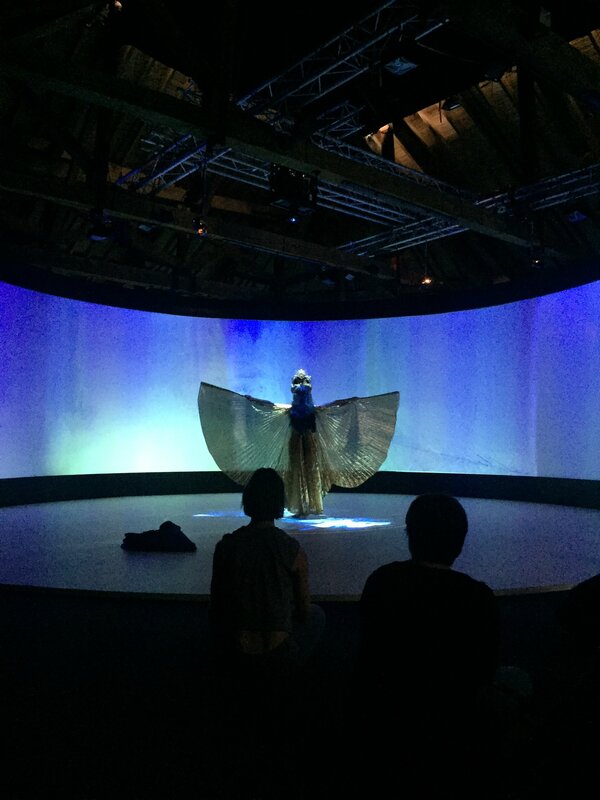 More about the Future Love programme schedule for FutureFest can be found here. 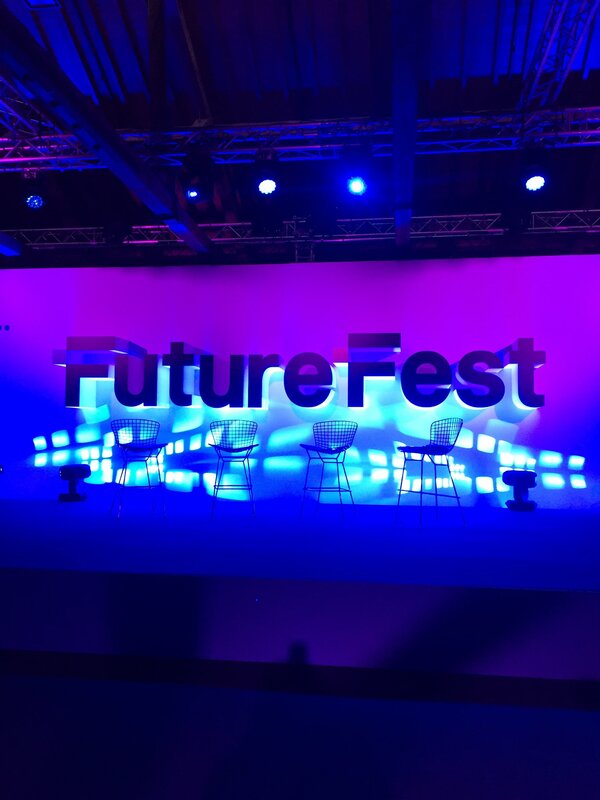 FutureFest happens at The Dock, Tobacco Quay, London. Social media fans can follow the discussion with the hashtag #FutureFest16. Tickets are available from £25 (students) up to £80 for the weekend. Hai Media Group will be in attendance, live tweeting as talks and debates happen from our Twitter (@HaiMediaGroup) and Instagram (@HaiMediaGroup) channels. Exploring our body from its hidden micro bacteria to its digital incarnations, The Games Europe Plays – BODY<>TECH takes a playful look at how digital technologies are helping us to heal but can also disturb our wellbeing. Presenting the works of interactive artists and game makers from the UK and continental Europe, the show envisions how we will inhabit and take care of our virtual and physical bodies in the future. Join us this summer in Greenwich to meet A.I. (artificially insane) avatars, enter the whole genome sequenc-ing of bacteria in virtual reality and rebalance yourself through play. Go on a journey where your body, mind and senses will be guided and confounded. Are you ready to explore the uncanny valley? In ‘Molding the Signifier’ by Ivor Diosi you’ll meet 3 chatty avatars who get infected by a mysterious bacteria slowly disrupting their conversation and behaviour. Anna Dumitriu with Alex May turn Staphylococcus aureus bacteria collected on her body into an installation and a virtual reality experience. 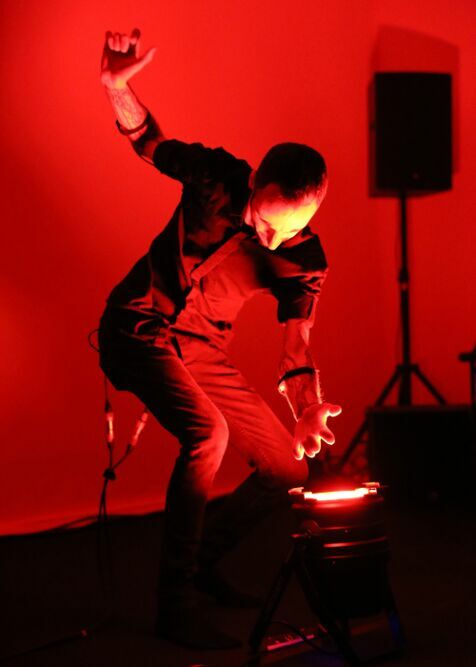 Marco Donnarumma uses his heart beats, blood stream and muscle contractions to create digital music and media. The beautiful Good Night Lamp by Designwarm uses the Internet of Things technology to tell a loved one ‘I’m thinking of you’ at a distance. Blast Theory’s app Karen (UK) is a life coach who gets a little bit too friendly and intrusive. If you feel a bit disturbed after all these experiences, Dutch game ‘Songs of Elstryn’ will invite to rebalance yourself physically and mentally. The exhibition is the second in a series of three shows initiated by EUNIC London and curated by body tech-nologist and digital expert Ghislaine Boddington (Creative Director, body>data>space / Reader CPDA Uni-versity of Greenwich). They bring to the UK the best independent and innovative games and digital experi-ences made in Europe with a strong emphasis on design, virtual interactivity and physical engagement. ‘BODY<>TECH engages in a debate in Europe around gaming and interactive works that represent our bod-ies and minds. Showing projects both with social purpose and artistic intents the works in this exhibition dis-play a way of being in a new world – where the inside moves outside, the digital helps the physical, virtual and physical intimacies merge. 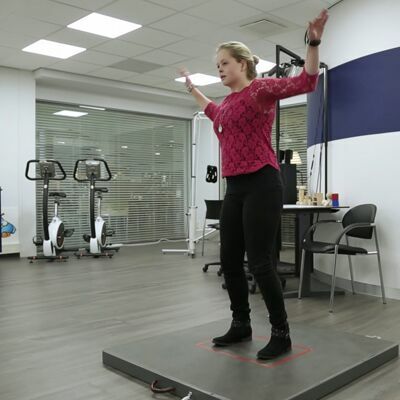 The Games Europe Plays – BODY<>TECH reflects on potential digital physical “bodies” of the future’ Ghislaine Boddington. The Games Europe Plays is a EUNIC London project, produced by the Finnish Institute and body>data>space. Initiated by the Czech Centre, the project is supported by British Council and Arts Council England. It is presented at the Stephen Lawrence Gallery and supported by the University of Greenwich (Department of Creative Professions & Digital Art), in association with Nesta’s FutureFest and London Games Festival. With additional support from the Czech Centre, the Italian Cultural Institute and the Em-bassy of the Netherlands. Colloquium: Join us on Thursday 7 July from 11am to 4pm at the University of Greenwich (SE10 9BD) for a day of colloquium with curator Ghislaine Boddington and Digital Arts Lead Ian Thompson, associated art-ists and experts.